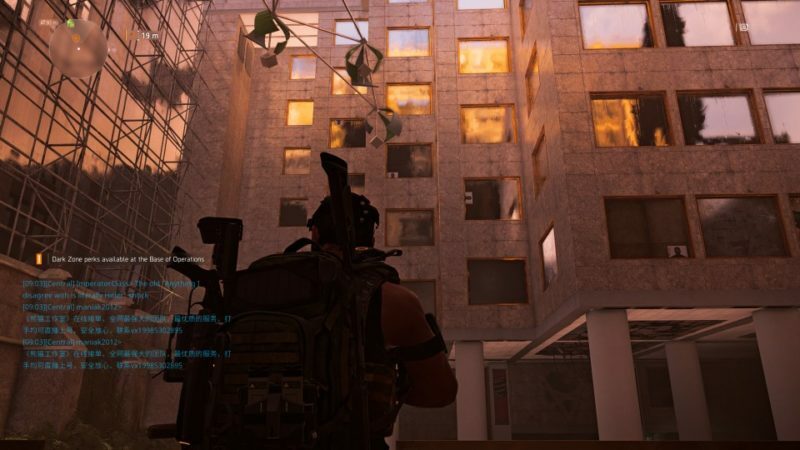 There are 12 masks altogether in Tom Clancy’s The Division 2. The Demon Mask hunter is one of the easier ones, considering there’s only one hunter. 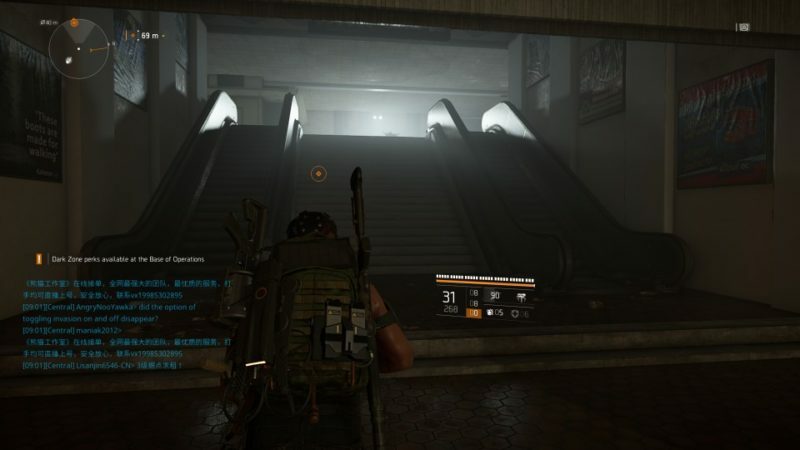 Here’s how to get the Demon Mask in The Division 2. 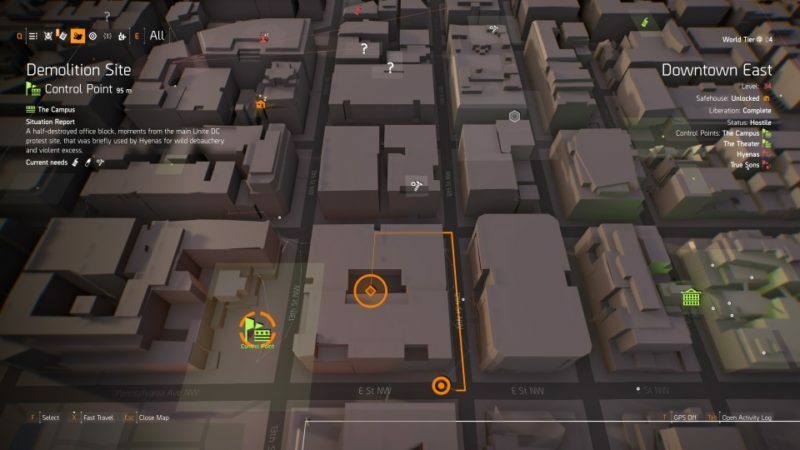 To find the hunter, get to this exact location shown in the map below. It’s right inside the building at the center. For easier reference, it’s on the right side of the control point called Demolition Site. 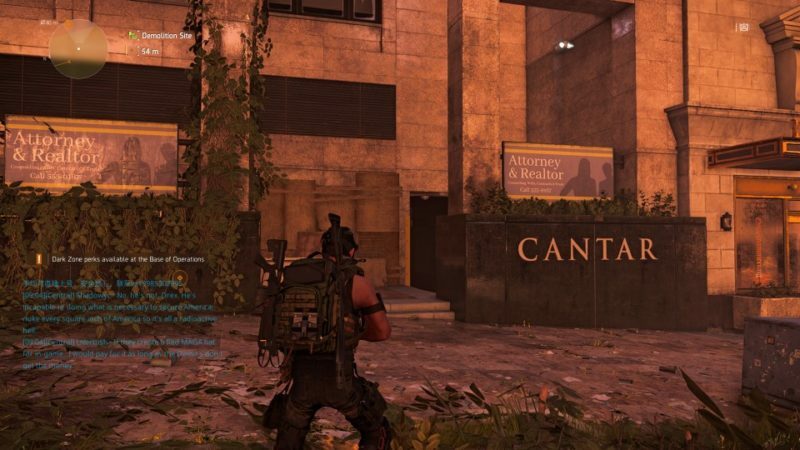 As you reach the area, you may come across two ways to enter the building. One is through this entrance below which says Cantar. Walk behind it and you’ll see an alleyway. The alleyway should lead you to the middle of the building. Another way is much longer. You have to get to the escalators and go down. 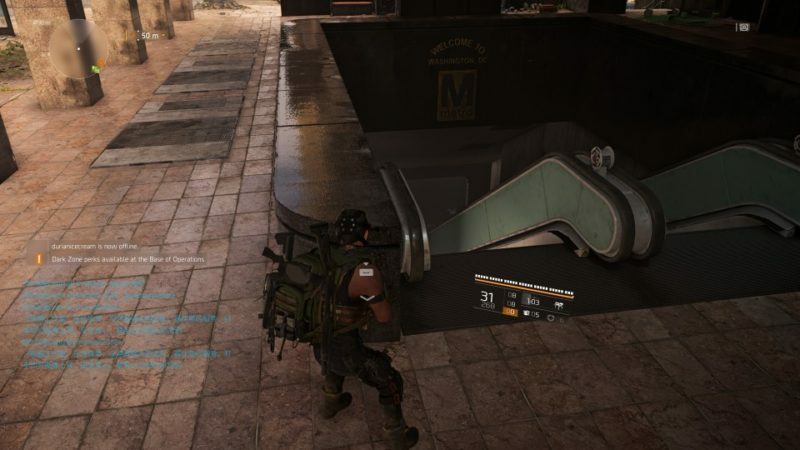 Once you’re underground, keep walking until you see another set of escalators, except this time you’re going up. Regardless of which way you took, you should come across these windows. If you look carefully, some of the windows have shooting targets. To spawn the Demon Mask hunter, shoot at the targets from top to bottom. There should be four of these targets in total. If it works correctly, the hunter should appear and you will notice an interference in your feed. Kill him and you’ll get the mask, and if you’re lucky, an ivory key.